Discover puts its focus on creating great rewards for its cardholders. Consider the Discover it® Cash Back as a well-rounded rewards card. Looking to build your credit? The Discover it® Secured is a great fit. Check out the best credit card offers from Discover below. See the best credit card offers from Discover below. When you discover Discover, you find some hidden surprises, such as their dollar-for-dollar matching of all the cash back earned at the end of your first year, no annual fee and so much more. Here, we'll take a deep dive into what each Discover card offers, then look at their common, most excellent features, such as free FICO score, U.S.-based 24/7 customer service, and more. Which Discover card should you get? Because Discover credit cards have such different structures from competitors, it's a good idea to compare with any other cards you have your eye on. 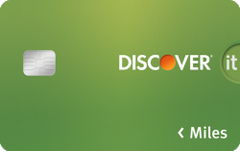 Discover offers the gamut – credit building, student, travel and cash back cards. Which is best for you? Consumer with a big balance – If you have a balance on another card, the Discover it Balance Transfer is one of the most generous on the market, with 0% intro APR for 18 months on balance transfers. However, the purchase offer is only 6 months, so even though this card offers 5% back on rotating categories after activation (up to the quarterly maximum, then 1%), don't plan on carrying any of those purchases over past 6 months, because interest rates will kick in at a variable rate of 12.24% - 25.24%. Shopper with a plan – There are a couple of options here, including the Discover it Cash Back and the Discover it chrome. The Discover it Cash Back is a good card for someone who enjoys angling to maximize their cash back rewards, while the chrome is a good option for someone who frequents restaurants or is a road warrior. Occasional traveler – If you travel somewhat and you're looking for flexibility in a travel credit card, the Discover it Miles is a good choice because it rewards 1.5X miles on all types of spending, with no blackout dates on redemption. While the first year would bring you a bonus of 1.5X miles at the end of your first year, a premium travel card with an annual fee waived the first year could get you a bodacious bonus, such as 70k after a $5,000 spend within the first 90 days with the Barclaycard Arrival Plus World Elite Mastercard, then 2X miles on all purchases. When all said and done, the Discover it Miles is best for the occasional traveler who needs room for flexibility. Student consumer – Discover has two student cards, the Discover it Student Cash Back and the Discover it Student chrome. Both offer the rewards of their big brothers, but they only require no credit history. These are good cards for the youthful consumer who wants to experiment with rewards and build credit in the meantime. Credit builder – The Discover it Secured is an excellent option for the consumer who wants to build their credit while keeping open the option of experiencing rewards. This card requires no credit history, but as a secured card, you have to put down a refundable deposit as collateral. However, you get to build your credit with every on-time payment. This secured card is one of the better ones on the market because fees are minimal, including no annual fee. Discover is best known for its stellar lineup of cashback cards, but it is more than just a card issuer. 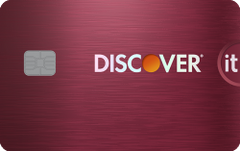 Discover is also a network, along with Visa, Mastercard and American Express. This means it partners with merchants nationally and worldwide, which accept the Discover cards for payment. Although more common in the United States, Discover is accepted in 185 countries and territories. Credit cards. You already know that these products provide excellent value, but they also offer great service and security. More on that later. Banking. Discover also offers savings, checking, IRAs and CDs with a competitive 2.65% APY for 12 months and minimum $2,500. Personal loans. These loans can be used for major purchases, life events, remodeling or debt consolidation – basically, you have a need, Discover delivers. Student loans. All manner of student loans are offered, with a fixed rate undergraduate loan's starting fixed rates ranging from 5.99% - 13.99%. Home equity. These loans range from 4.99% - 11.99% fixed APR for $35,000-$150,000. That's with no application fee, origination fee or home valuation fee. There are a few key rewards programs attached to Discover credit cards. For example, upon enrollment the Discover it Cash Back, Discover it Balance Transfer, and Discover it Student Cash Back all offer 5% back on rotating categories each quarter (up to the quarterly max, then 1%). Meanwhile, the Discover it chrome and Discover it Student chrome offer 2% back at gas stations and restaurants (up to $1,000 quarterly, then 1%). While quarterly activation is required for the Discover cards with rotating categories, cash back for the chrome cards are automatic. Other cash back cards usually offer a sign-up bonus – Discover cards' bonus at the end of your first year competes with that. It's a certainty that you won't pay an annual fee or foreign transaction fee on Discover cards. Annual fees can run in the hundreds of dollars and foreign transaction fees are typically 3% of the charge, so that's a whole lot of money saved with those two fees waived. These cards carry a host of other features, as we'll talk about next. Discover cards offer a number of benefits, from service to security to great rewards. Here is what the brand offers with all of its cards.